I have always been at war with myself. Maybe it is because I am born on a cusp between Sagittarius – the more creative sign- and Capricorn the more practical sign. But I always have felt there is this inner creative who wants to come out. She wants to wear bell bottoms and grow her hair long and keep it in a braid and maybe get a few more tattoos. She wants to have a studio where she makes cool art. The practical side of me had tried to squelch creative Anne. Miss P wants to do the more left brained things like have a proper job and be all serious. The right brained me has been writing since I was a young. I wrote poems and also I wrote for my high school newspaper. I didn’t always get published but I tried. I never thought I would ever be a real writer it just wasn’t practical. How would I pay the bills? That Miss P- she can be a downer. In my mid- twenties I fell in love with photography. I got my first camera in New York City. I began taking picture of New England. I lived in Boston at the time- I worked in a practical job at a mutual fund company. But the photo bug hit me hard and when I moved back down to Maryland I began taking courses. I even took a class taught by National Geographic photographers. This was all before digital photography came about and I wasn’t great in the darkroom and my focusing left a bit to be desired but I persisted. I even got paid for a couple small jobs for friends. Creativity took a back seat to kids. I still felt that inner artist within and I loved to decorate the house and paint the kids rooms. I kept taking pictures but mostly of my kids and of their growing up- and really what better art is there when you are taking pictures of those you love? I once wrote a piece for The Washington Post- just for the Health section it was a personal piece but it got published- that felt great! I still want for something more in my creative life. I love blogging and Love taking photos. 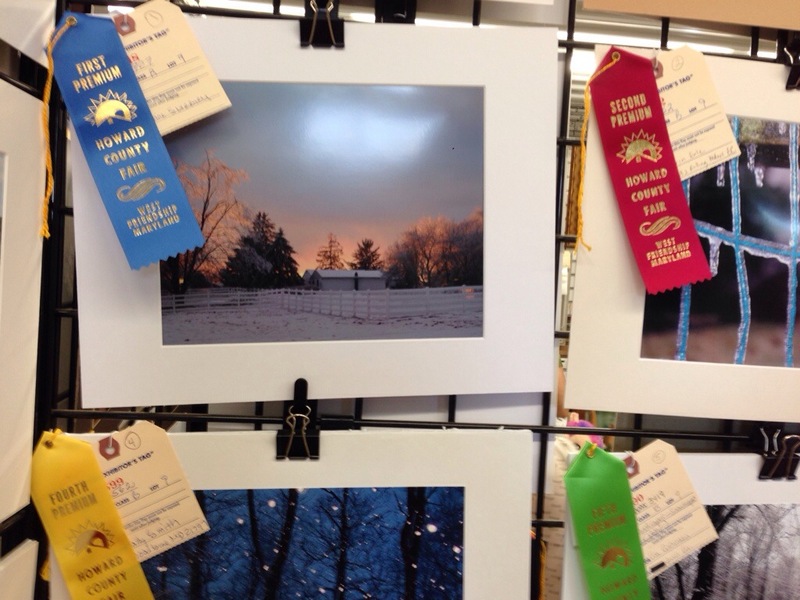 I have entered photos in fairs and won a few ribbons. But I feel like there can be more- that creative person in there is the real me. I still feel she is afraid to come out and really try. Miss P likes creative Anne to play it safe. I think as I have gotten older the inner artist has cried a little louder. I am not sure where this will go. I have some ideas. Will they stick? I am not sure. I have been enjoying my newest creative hobby..painting furniture. I am learning a lot. I have a number of projects completed. I have a studio and I feel very calmed when I am painting pieces. It was born out of nessecity – but it touched the artist within. I never thought I would be much good at painting anything but walls- and I am very messy at that! And maybe I am not that good at it but I am enjoying it. I think the more I try the more I tap in to the creative Anne. She wants to write, and take pictures and she wants to paint furniture and maybe fuse glass..maybe more. I want to listen to her more. I want Ms. Practical to shut up for a bit – there is a time for her but maybe it is ok for creative Anne to live out front for a while. Maybe I wont get to grow the long braid or wear bell bottoms but I sure as heck can give this inner call a listen and see where she wants to go…thanks for reading. Here are a couple of my projects- I have many more waiting for me! She was flying- her face showed she was happy and free. She was one with her horse and I felt it from where I was standing on the rail of the ring. 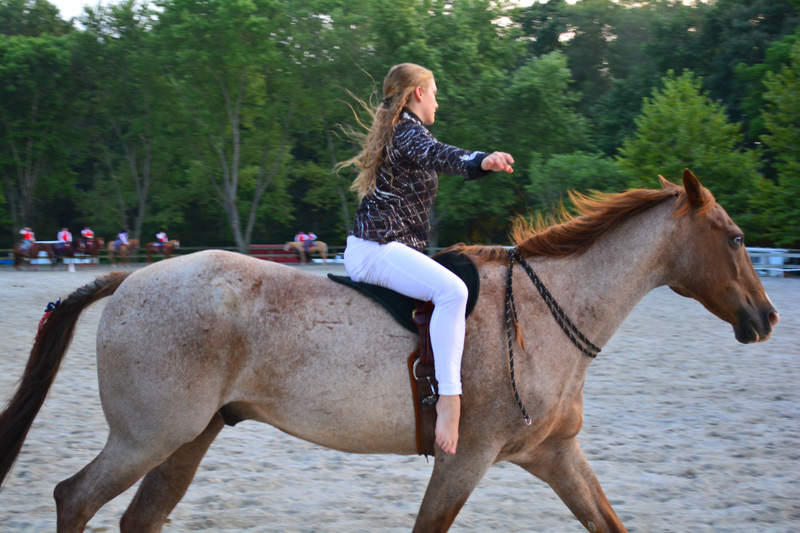 I felt the freedom and the air and the fullness that you get when you are riding on the back of your horse. What i wasn’t expecting were the tears. My tears. I was trying to hide them from the crowd and from my husband. How silly it would be to be crying at an exhibition as I watched a young woman I didn’t even know ride her horse. But I felt it all inside me- that freedom – I wanted it – right then. I have a horse-I have 2 in fact. The horse I ride is Harley – he’s about 15 or 16. I have had him for over 7 years now. 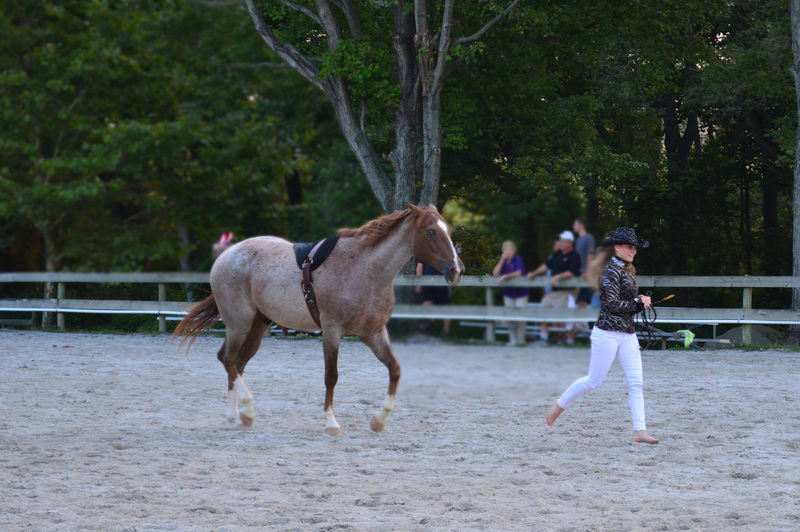 We have always been a work in progress – meaning we both need more lessons but he is still fun to ride without them. The sad thing is I haven’t been able to ride because of the residual effects of cancer treatments. My shoulder and really my upper torso have been effected by the radiation. Its too long a story to explain but between radiation effects and further exacerbating it by shoveling ice I am a bit of a mess. I am constantly pursuing treatments that will fix the issue but the bottom line is I haven’t ridden since April or early May. Its been too long. 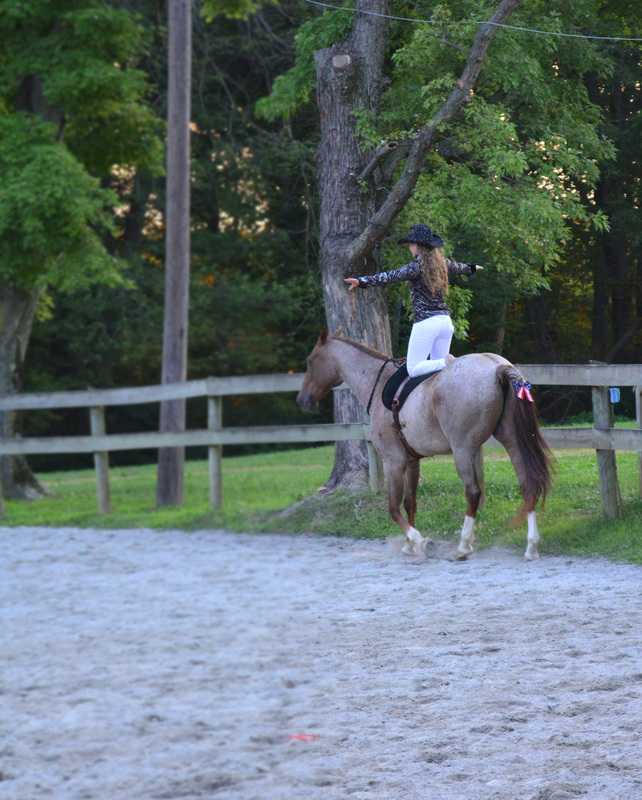 I am not sure I realized how much I missed riding until I saw that girl flying through the ring on her horse. 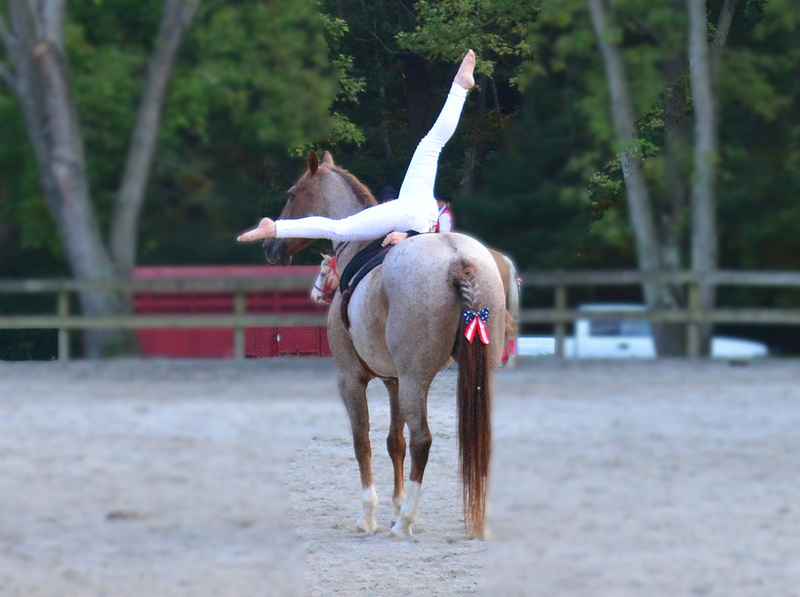 She was an acrobatic rider so she stood for part of the ride on her horse and rode. The bond and trust that it takes to do that is very special. The horse and rider as one- it is amazing to see and touched a part of me that longs to just be riding my horse. For a moment I thought how unfair it is that I cant ride. I cant do the a number of things and the frustration is getting worse. I feel trapped with a body that is broken. Sometimes it just really gets to me. But then I realize all I can do and that many disabled people would love to be able to do what I can do. So I change my attitude…and move on. I am lucky and all isn’t lost. But I want to ride my horse – I want to feel the freedom that I saw the other night..I want to just be me on my horse for a few minutes…Anne and the horse- no cancer – no injuries–just me and my Harley…I didn’t know how bad i wanted it but now I want it so it must happen. Well what can I say about this? 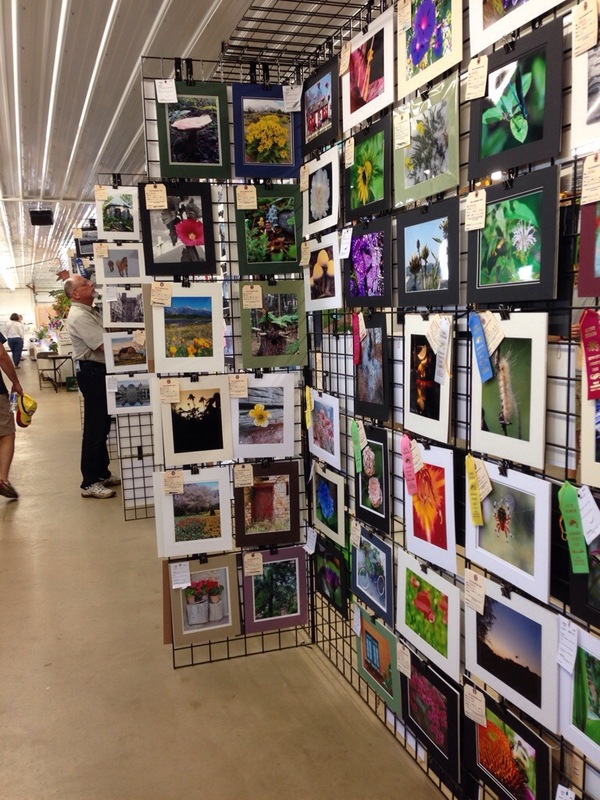 Yesterday my husband asked me if I wanted to go check to see the results of the photography contest at the Howard County Fair. To be honest I wasn’t feeling great and I also wasn’t sure I was ready to see the results. I really thought I didn’t care if I got a ribbon or not but even though just entering the contest and getting everything together was really a win for me -I am super competitive. So I couldn’t just turn off the hope that I might get a ribbon. So I wasn’t sure if I was ready to go to look. I realized I was only going to keep wondering so I decided to go look. My daughter, my husband and I drove the 25 minutes to the fairgrounds. We headed straight to the Fine Arts building. I stopped in the front to admire the cakes and the baked goods – yes I was stalling. The cakes were amazing though! My husband was already in back looking at the photos. My first picture we saw was my black and white landscape. No Ribbon but it was cool seeing my photo there. I stalled again looking at all of the other photos in that section and commenting in each one. My husband was already to the next section. When I walked up he pointed to a picture of icicles. There were a lot of icicles in the competition I had entered one but it was in the “other” category. The category we were looking at was “winter landscapes”. That icicle picture got second place. My daughter was trying to say something as we gazed at the icicles. I looked to the left to begin looking at other photos and OH MY GOD! 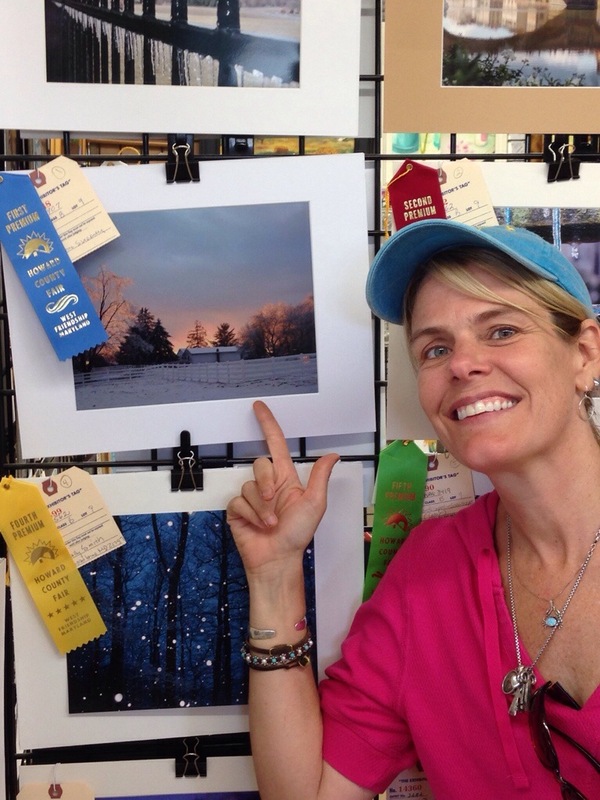 My winter landscape photo was next to the icicles and it got a BLUE RIBBON. 1st place! What? My mouth stood open, my eyes bugged out and the tears began. I mean a ribbon of any sort would have been great but a blue one? Really? It had to sink in. I took a minute. We took a picture of it. Then we moved on. We looked for my three other pictures and I didn’t get a ribbon for those but I had gotten a first place already anything more may have sent me over the edge! The ribbon was completely unexpected. I was ecstatic inside. The competition was amazing and I am glad I wasn’t a judge. How do you choose? I don’t know but I’m sure glad they chose mine. We went back to take another picture with me next to it. My husband immediately posted it on Facebook. It’s so nice to have your spouse be so happy and excited for you. He is the king of support. That is the ultimate blessing. I hadn’t realized how lost I had been until I saw that ribbon. Getting the entries together seemed a large task and lately so many things overwhelm me. I used to be able to entertain for 20 or more people with no problem. Now to consider that seems impossible. So many things I used to do easily have seemed too much to even try now. I try to break things down into pieces to get a project done -and that is what I did with the pictures. I chose them – ordered them- ordered matting supplies – matted them- entered them. Each was a a task and after I did each part it seemed less overwhelming and actually fun. The photo that won was taken after one of our nasty ice storms last March. We went out to clean up trees and I wasn’t going to be much muscle bc of my shoulder issues so I grabbed the Nikon. I hadn’t been using it much. I remember the shot well bc i had been taking pictures back towards the fields and I walked out into the field to photograph my boys at work. I turned to go back and the sun was setting and the sky and colors were amazing. I stood there looking and then realized I needed to take a picture of it bc it wouldn’t last. I snapped away and was so happy when I came inside to download the photos and saw this amazing light in that shot. It was the shot of the day. Sometimes you get only one -sometimes some- and sometimes none. Since I hadn’t been using the camera much I was very happy with this result. I had no idea that in a few months I would be entering it in the fair as I had forgotten all about my desire that I had gotten last summer when we were visiting the fine arts building. Thankfully it all came back to me just a couple weeks before the entires were due. Since I hadn’t taken too many DSLR photos in the last year it wasn’t hard to settle on that shot. But we almost didn’t enter it! We took it to the fair but it was between that and my dogs eyes. I love that shot. But my husband said to enter the winter landscape -it was his favorite he said. So I entered it -and– it –won —- first place!! I just can’t believe it! I am just so grateful! And happy! Do I stop now? I got a first place – how can that be topped? Will doing less than first in another contest be a let down? I don’t think so – I hope not because the Great Frederick Fair is coming up. I think I’d like to try to see how I would do in that one. I would not enter my winning one though. I’m going to retire that one to my wall. It reached it’s pinnacle. But I know photographer Anne is back and this is only the beginning for me. My shot and the icicles we were staring at when we first came to the section! More entries- I LOVE the lambs..my shot is lower down (I didn’t get it in the picture) I never thought to enter a chicken picture- maybe because I have so many I have become numb to them- so maybe I will enter one in another contest the one here got second! …and more entries… there were a lot! 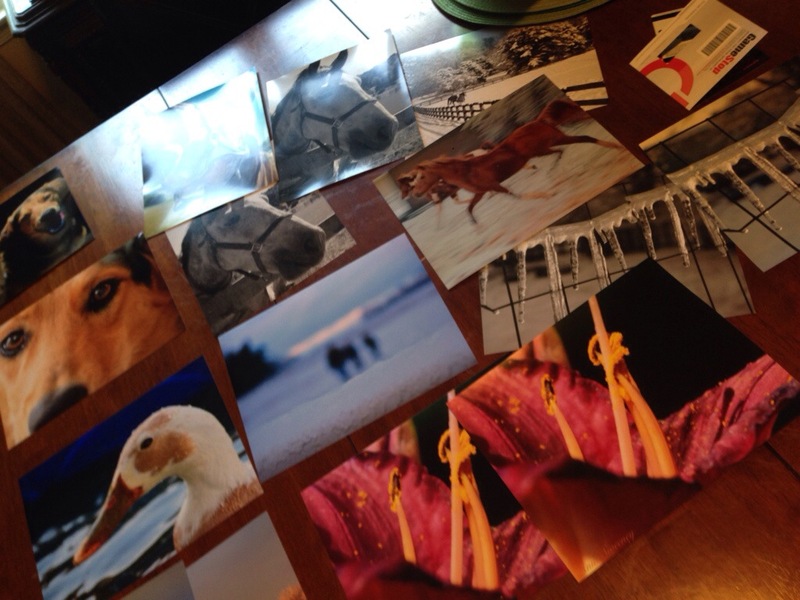 On entering a photo contest…. 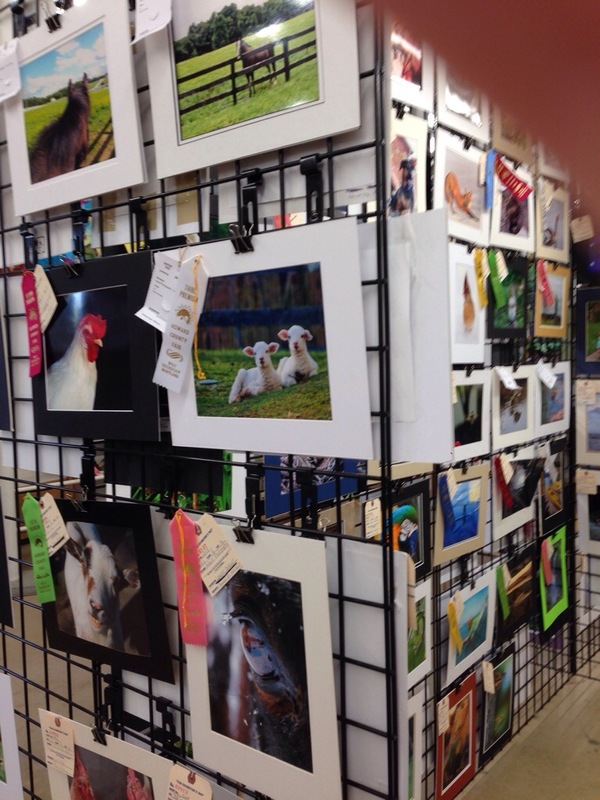 I decided a couple weeks ago that I was going to enter my photography into one of our county fairs (we have many counties around here -ergo the name -4 county little league, or four county this or that). My favorite county fair is the Howard County Fair. It’s not too big and it’s not small. They have great rides but not too much. They have fun local bands and a neat petting barn. I love that fair. Last year we walked through the Fine Arts building and I looked at all of the photography that had been entered. I loved all of the shots and wondered how they decided on the winners of each category. I left feeling like I might want to try to enter a few pictures the next year -but then I sort of forgot about it. The fall brought me health challenges and photography wasn’t in my thoughts as much. I am always taking pictures but I wasn’t taking them with my new Nikon, I was mostly using my iphone. I would look at the shiny red Nikon and that’s all I would do- just look. I don’t know what the matter was. Well I have become ambivalent about many things and for some reason photography was one of them. I know that recovering from my cancer treatments has taken longer than expected but I think this is more mental than physical. I am overwhelmed and just the thought of taking shots and having to plug the camera into my computer was tiring for me. I know weird right? I’m a former software engineer! I love all things techie! This problem of ambivalence still plagues me but I see it has lifted some relating to certain things. I’ve painted furniture, we are going to move my other teen boy downstairs into the basement to live with his brother and I’m all excited to get it done, and two weeks ago I got excited about photography. Two weeks ago I was looking through some of my older photos taken with my older Canon and some taken with my oldest Canon – now long gone. I hadn’t looked at these shots for a while so I was looking at them as if for the first time. I realized they weren’t bad. As I looked at the images I realized that I am an ok photographer. 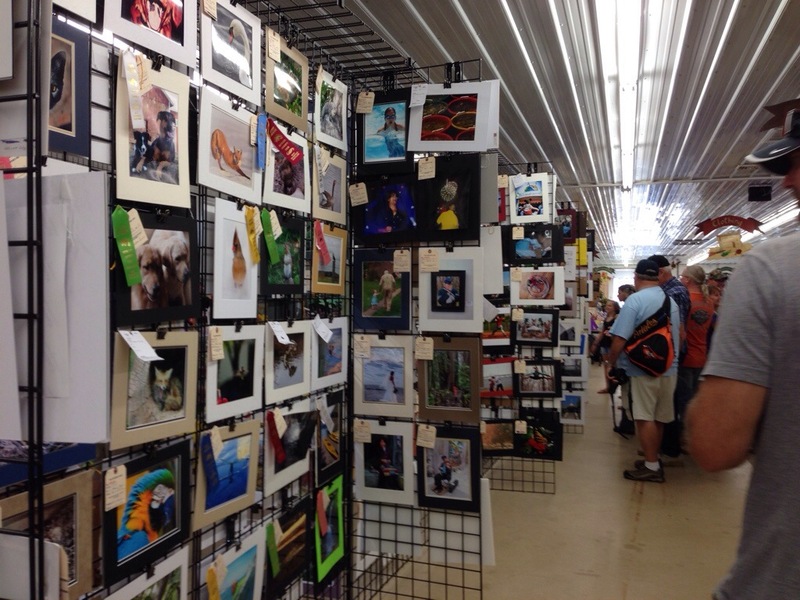 So maybe I should enter some of my photos into the Howard County Fair. If it weren’t for the fact that I had been looking up local fairs coming up in our area that same week as I had been looking at my old photos i may have not had the thought. But when I saw Howard County Fair pop up on my google search I remembered the thought I had taken with me last summer when I left that Fine Arts building. Thankfully I did pick up my Nikon over the last year a few times. ( all photos must have been taken since the fair last summer.) So I began to go through what I had. I didn’t have much time to crop and do much in photoshop elements but I found a number I liked. I ordered a bunch from Shutterfly and was expecting them last week. Guess what? -they were a no show. I found out that they were sent to my old address in my town and then returned to the forwarding center ( gotta love my town and the personal help you get when you call the post office inquiring about them-they even said they’d call if the came back through. ) The address issue was my fault and I needed a new plan and fast. So I sent some to our local CVS where they only do glossy prints. Then I ordered more from Shutterfly bc they do matte finishes and I had them sent two day. They have to be matted and taken to the fairgrounds by this Friday. I also ordered mats and backs and tape from Amazon and they just arrived as I have been writing this blog post. So I’m in this for a few bucks at this point. I don’t know why but I am more excited than nervous. I am also so happy that I have some spirit coming back and my ambivalence is leaving even more. I feel a spark inside that I hadn’t felt very much in a while. When it flickered every now and then I just wanted it to stay on. It might be a while but I think it will. I never wanted to lose the spark and I never thought I would become ambivalent and lethargic about so many things. I have always been a go go person. But I have been left with a less frantic version of myself- and as I wrote in my cancer blog this week- some of the changes that have occurred have been very good ones for me and my family. But the ambivalence bother me. Is it depression? Well maybe- but mild at best. Its more like having feet in quicksand. I have felt like maybe I am in a redefining point of my life. So maybe some of the ambivalence will be a catalyst for making some needed changes in my life. My nature isn’t to be wishy washy – it has always been to make a choice and get the job done. I could take on many things at once–now I find that overwhelming and often times pointless. Maybe this is the point – maybe we hit walls like this in our lives because it is time to make changes. Maybe as we make those changes some of the spark begins to return- maybe for old things and maybe for new things–(I have fallen in love with baseball- but that is for another post). All I can say is I am so glad that I got a spark again with photography. 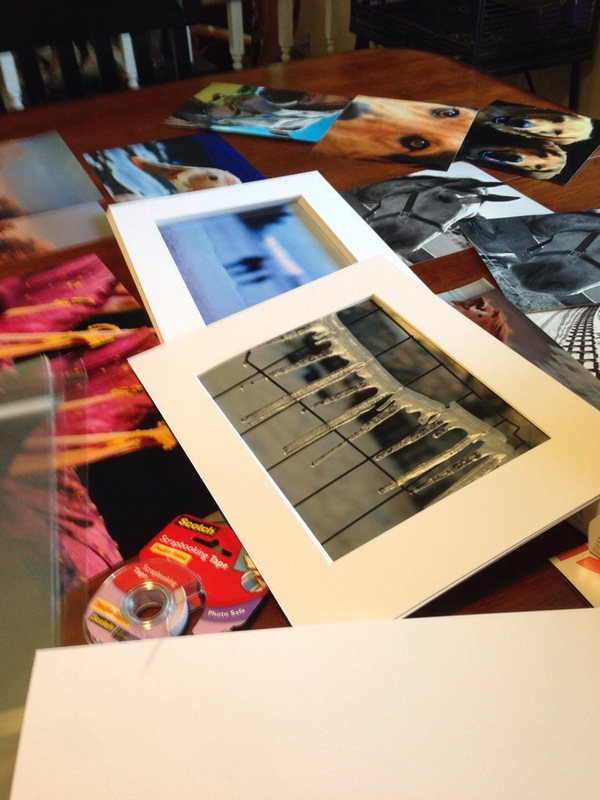 I feel alive when I think of this project of choosing and matting and entering them – and then hoping maybe a judge likes what he sees. It is fun – it is challenging…. Funny thing is that I expect to ribbon in a category (I am allowed to enter five). It’s not cockiness at all. Though I’m not sure what it is because I know I’m up against steep competition but I just feel good about it. And honestly if I don’t win a thing it won’t crush me either. I already won this one because my feet came out of the quicksand for a time and I felt alive – and that is what is most important.